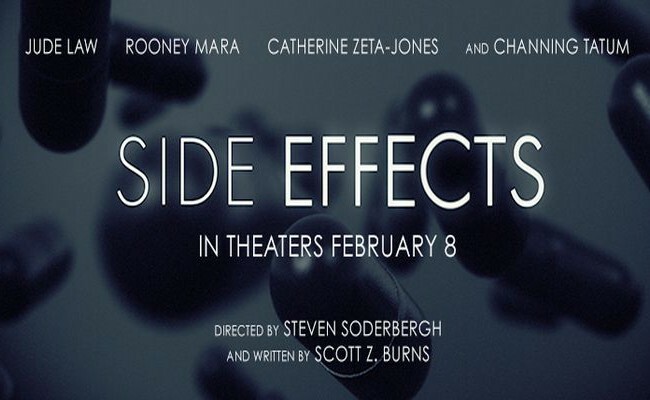 Trailer for Steven Soderbergh's 'Side Effects' starring Jude Law, Rooney Mara, Catherine Zeta-Jones and Channing Tatum. 'Side Effects' is a psychological thriller set in the world of the pharmaceutical industry. A troubled woman (Mara) who is coping with the imminent release of her husband (Tatum) from jail begins to take a new prescription drug with unforeseen consequences. 'Side Effects' opens February 8, 2013, 15 March 2013 for Ireland and the UK.